Penn alumni can get the latest entertainment news and now create profiles, connect with other alumni, and add stories into their profile! 2) Checking out the new way you can submit stories directly to the site! 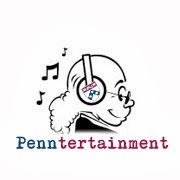 Thank to Jay Matsueda (W'95), Victoria Polubinska (W'12) and TJ Trapp (C'99) with helping to develop Penntertainment.com! And thank all of you readers for all your support as I continue to strengthen and connect our Penntertainment community! Finally, stay tuned to DT as we will be taking the site in a slightly different direction! Tonight (9/27), small business and finance expert Monica Mehta (W'97, Counterparts) will be appearing for a second time on the "Real Time with Bill Maher" panel. Monica has actually been all over the media writing magazine columns (Bloomberg, Businessweek, INC Mag, and Entrepreneur Mag) and appearing regularly on business and political shows ("O’Reilly Factor", "The Adam Carolla Show", Fox News with Neil Cavuto, "Fox & Friends", "Fox Business", MSNBC, Bloomberg TV, ABC News). Find out what Monica will be talking about with Bill after the jump! Los Angelinos, join over 500 other Penn alumni at this huge event! 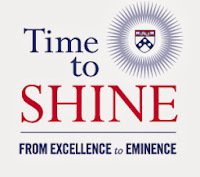 Los Angelinos, have you registered for Penn's huge "Time to Shine" event on October 8? There are already over 500 registrations! 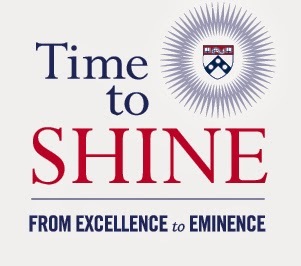 If you haven't done so already, head on over to http://www.alumni.upenn.edu/timetoshine/la/ and register! How can you not go with such a catchy theme song in the video above?! Plus, it's a free event! Did you see Vanessa Bayer (C'04, Bloomers) present as her Miley Cyrus alter ego on last night's VMAs?